With bricks molded from the mud of the banks of the Red Cedar, this house is currently the oldest existing building on our campus. It was one of four original residences built for faculty and and initially served as the house for the serving president of MSU. It was constructed in 1857 and housed past presidents until 1874. It was then converted into a faculty residence, the offices for the College of Education, and a female dormitory. The college eventually realized the need for a house specifically to serve as the residence of the president as the farm cottage had turned to other uses. In 1873, a house designed by E.E. Meyer was constructed on the current site of Gilchrist Hall. This house would provide the home for Abbot, Willits, Clute, Gorton, and Snyder during their terms until 1915 when it was converted into a dormitory for women. It would serve this purpose for 10 years until it was then turned into a hospital in 1925. In 1939 the building was demolished as a way to make room for the new West Circle dormitories. Over time, the farm cottage began being identified on maps as the residence of the professor of Botany. We can attribute this title to Dr. William Beal for he lived in the residence for 38 years from 1874 – 1941! 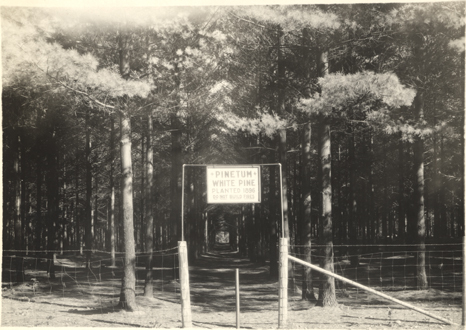 In 1941, President John Hannah moved in postponing a much needed renovation. After World War II, the house underwent remodeling. This project, headed by alumnus Fredrick Cowles Jenison, turned the farm cottage into the structure that it is known as today. 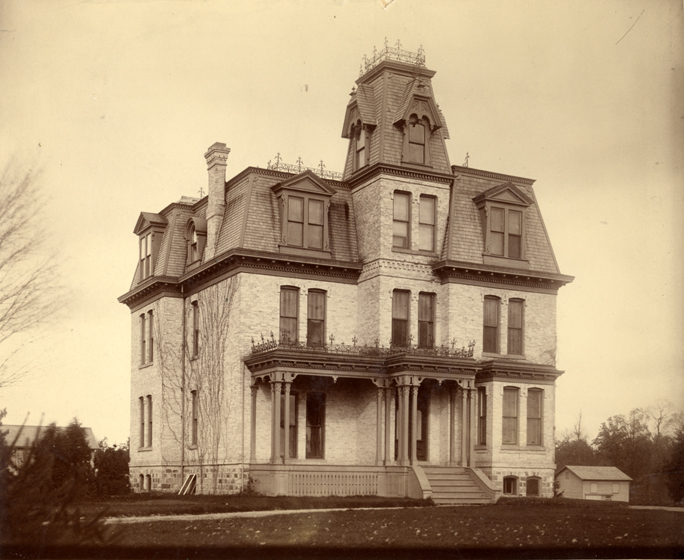 The project became very dear to Jenison as his grandfather, Albert Cowles, was a student of the first class of 1857 and helped gather material for the original foundations of the house. Jenison named the house after his grandmother, Alice B. Cowles, and we refer to the house as such today. 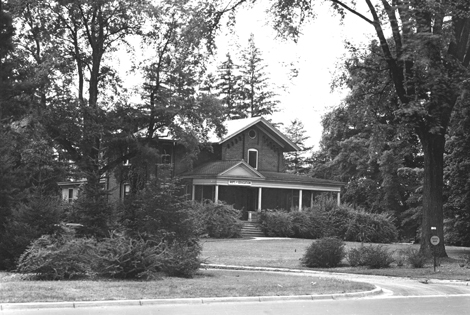 In 1986, the Michigan Historical Commission declared the Cowles House as a state historic site. Students can now, on the exceptional chance, have the opportunity to visit the house for a special dinner, graduation reception, or any other special gathering. If you walk inside, you will find three levels, all adorned with beautiful furniture. The first level is primarily used for gatherings and receptions. The two upper levels are home to a total of 6 bedrooms and the office of the president. It was tradition for the president of MSU to live in that house, however, our current president Lou Anna K. Simon does not reside at the Cowles House. The Cowles House is a beautiful piece of architecture that defines the beauty of our MSU campus. I encourage you all to stop by soon and appreciate the splendor of the oldest building at MSU. One of the treasures of the MSU Archives is featured in the 2009 Darwin Discovery Day programs at Michigan State University. An 1878 letter written by Charles Darwin to MAC Professor William J. Beal is part of the online exhibition. Darwin’s letter is in response to a letter that Beal had sent to him on May 2, 1878. William Beal began lecturing in botany and horticulture at Michigan Agricultural College in 1870. He is, perhaps, best remembered for the botanical gardens which bear his name. 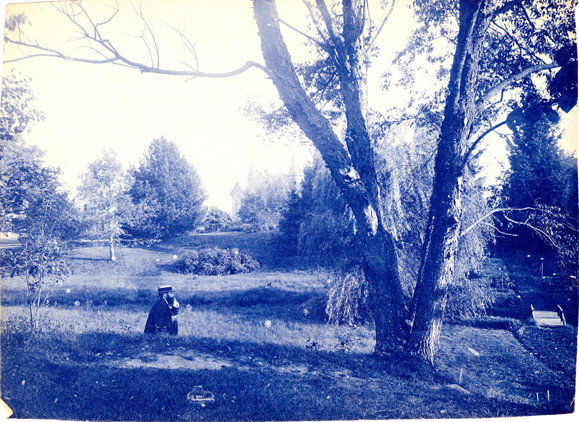 While a professor at MAC, Beal conducted a number of experiments in horticulture. In the mid-1870s, Beal was experimenting with cross-breeding corn to grow improved varieties. At the same time,he read naturalist Charles Darwin’s book, The Effects of Cross and Self-Fertilization in the Vegetable Kingdom. The book stated crossing two samples of one variety, not two varieties, would yield an offspring with more vigor than either parent. Beal wrote to Darwin expressing interest in experimenting with corn strains. Darwin’s reply was encouraging. Beal did try the experiment with corn in 1879 and discovered that his hybrid yield did have improved vigor over the parent strains. 2009 marks the 200th anniversary of Charles Darwin’s birthday. You can view the Discovering Darwin Day websites for more information.